Our accommodations are available, & with limited pet-friendly rooms. 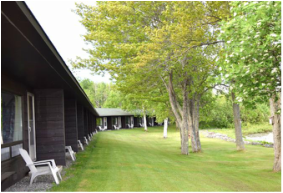 ​Come spend the night at the inn while taking in the breath-taking panoramic view of our own private bay & sandy beach. Forty-Two spacious rooms are available, and they ALL overlook the bay! Enjoy the perks of the lakeside right outside your door. Carolyn Beach has a cabin-like feel that blends wonderfully with the beautiful outdoors. 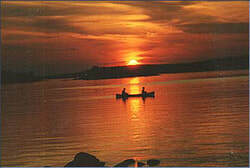 The District of Algoma offers many outdoor activities in its rare beauty. From kayaking in the summer to snowmobiling in the winter, there is something for everyone. At Thessalon, you'll be sure to enjoy all the nature it has to share.